U.S. stocks ended the quarter on a strong point, but the Dow Jones Industrial Average’s longest win streak in 20 years came to an end. The index gained 1.1% on the day, while the S&P 500 Index experienced a 1.4% increase and the Nasdaq Composite surged 1.6% by day’s end. Earnings season saw several more companies report late in the day Thursday, including the likes of Marrone Bio Innovations Inc (NASDAQ:MBII), SYNNEX Corporation (NYSE:SNX) and XCel Brands Inc (NASDAQ:XELB). Marrone Bio Innovations shares were booming late in the day following the company’s quarterly report. The company’s fourth-quarter GAAP revenue grew 23.3% to $3.3 million during the fourth quarter of fiscal 2017, compared to $2.7 million in the year-ago quarter. For the year, revenue grew 29.4% to $18.2 million, topping its year-ago total of $14 million. Marrone Bio Innovations’ product shipments increased 16.2% to $19 million for 2017, topping the $16.4 million it raked in during 2016. For the fourth quarter, product shipments were up $3.8 million, beating the $5.2 million from the year-ago quarter. Gross margin was up to 42% in fiscal 2017, beating the 32.2% rise in 2016. For the fourth quarter, gross margin was up to 46%, ahead of the 39% it had during the fourth quarter of 2016. MBII stock soars 7.5% after the bell. Synnex shares fell on the company’s weak quarterly outlook. For its fiscal second quarter, the company is projecting adjusted earnings in the range of $2.25 to $2.35-per-share. Analysts believe the company will bring in adjusted earnings of $2.41-per-share. Synnex also missed its second-quarter guidance in revenue as the company predicts revenue of $4.58 billion to $4.78 billion. 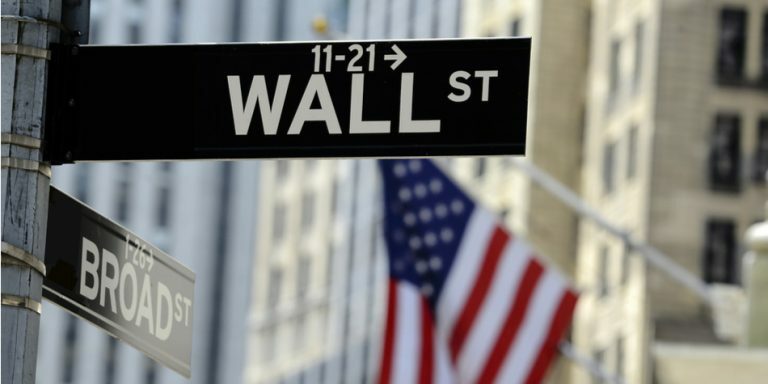 The Wall Street consensus estimate calls for revenue of $4.75 billion. For its fiscal first quarter, Synnex unveiled net income of $24.4 million, or 61-cents-per-share, below its year-ago net income of $61.8 million, or $1.54-per-share. Adjusted earnings amounted to $2.14-per-share, below expectations of $2.11-per-share, according to FactSet. Revenue during the quarter was $4.55 billion, beating the $3.52 billion from the year-ago quarter. Analysts were expecting revenue of $4.47 billion, according to data compiled by FactSet. SNX stock slid 7.5%, after the bell. XCel Brands reported on its latest quarter as well. The company reported fourth-quarter earnings at a net loss of $10.2 million, or 55-cents-per basic and diluted share, due in part to a goodwill charge, but partially off-set by a one-time tax benefit. A year ago, Xcel Brands earned $2.8 million, or 14-cents-per-diluted-share. On an adjusted basis, the company brought in net income of $700,000, or 4-cents-per-diluted share, beating the year-ago total of $500,000, or 2-cents-per-share. On the revenue front, the company brought in sales of $7 million, a 2% increase compared to the $6.9 million from the year-ago quarter. This figure was fueled by higher net revenue from the company’s interactive television business and the wholesale department store business. XELB stock was trading flat after the bell Thursday. Article printed from InvestorPlace Media, https://investorplace.com/2018/04/3-stocks-watch-monday-marrone-bio-innovations-inc-mbii-synnex-corporation-snx-xcel-brands-inc-xelb/.